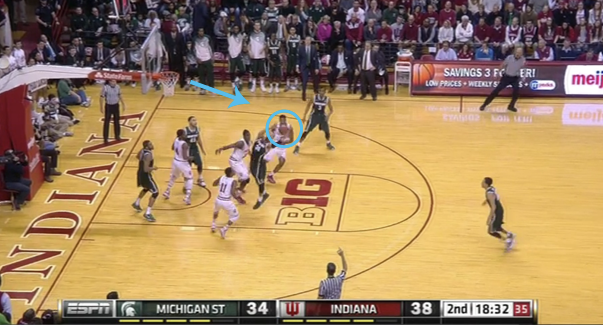 Indiana’s failure to secure the boards and put up enough resistance on the defensive end — no matter how it was set up — was its undoing on Saturday afternoon against Michigan State. 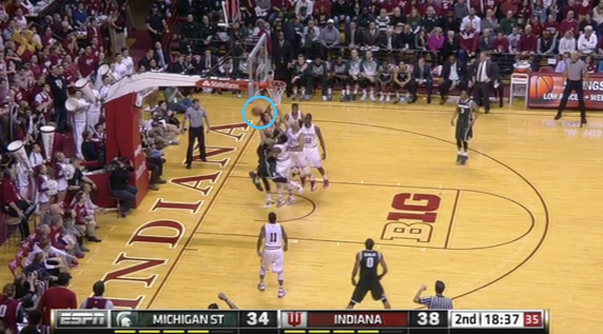 Three 3-point attempts and two rebounds for the Spartans on this possession. While Michigan State only shot 25 percent from distance (7-of-28), some of them came on possessions when the Spartans were afforded extra shots thanks to their offensive rebounding. 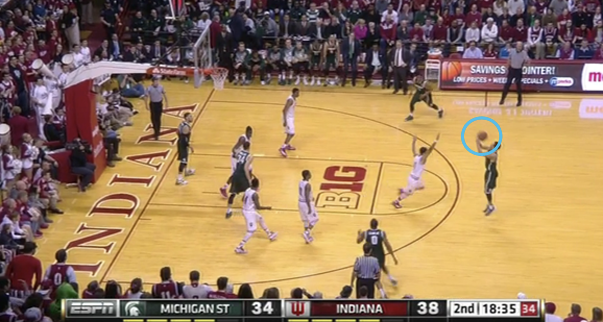 So possessions where Indiana could have held them to zero points ended up with them ringing up three. 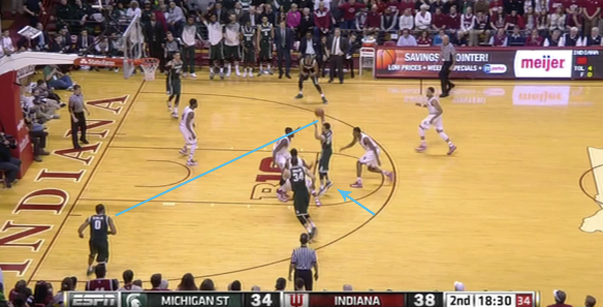 It’s been said on this forum time and time again, IU plays defense flat footed (clear example in film break down above). The players are almost never on their toes and bouncing and almost never close out their man aggressively. Thank you for the film break down. 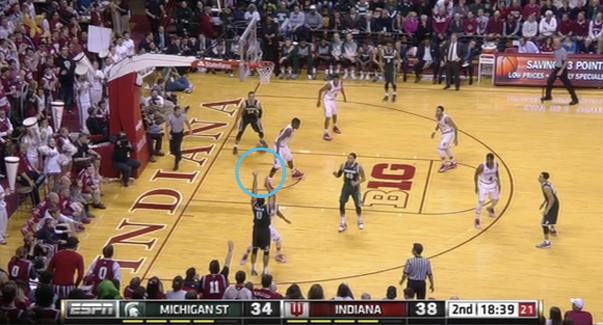 Moving screen by Costello in the third sequence; the three pointer should not have counted. If they don’t call ‘travel’ and ‘cupping’ or ‘carrying’, ‘arm bars’ or ‘hand checking’ why would they call a ‘moving screen’. Officating in the Big Ten is all bad!! 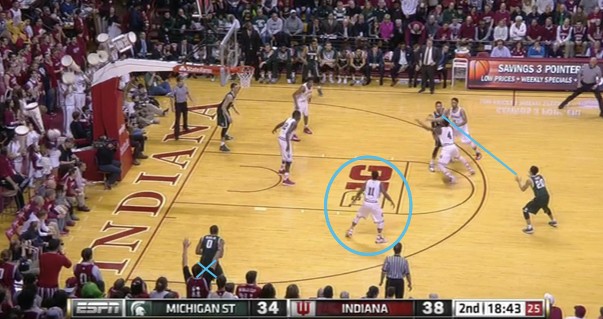 IU is constantly out of position while in the zone. They don’t know HOW to play it. 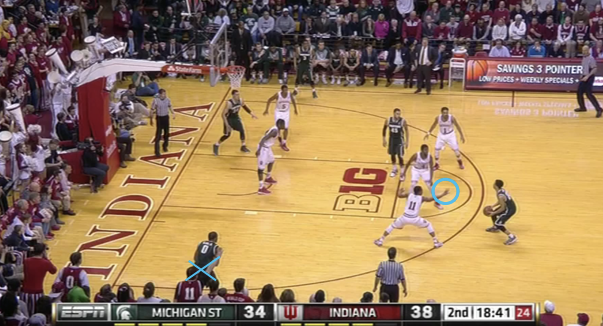 In your first example..Yogi is guarding Trice top of the key..that’s not his man to worry about..that guy… . Trice belongs to Rob..Yogi has got to get Clark. 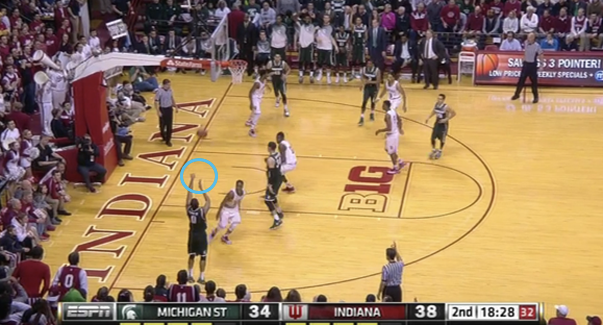 Later in t he game same play was used..only when Ferrell tried to get back toward the corner he ran into a screen. 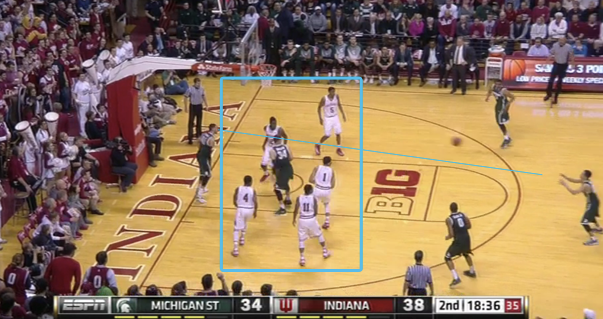 Against Iowa..White sneaked behind the zone twice (Nick didn’t know he was there)..easy buckets. 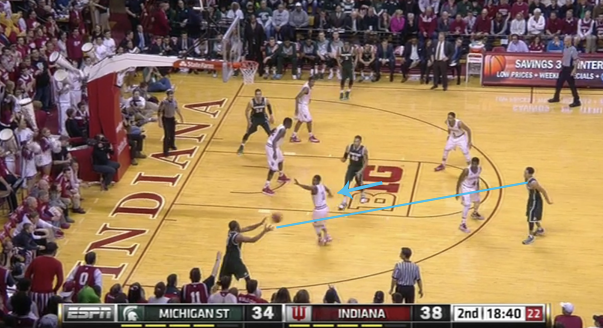 This is the worst coached & executed defense have ever seen in decades of watching IU b-ball.